This past year the design department received the donation of a Vinyl Cutter. I have been fortunate enough to get multiple chances to experiment with it and create pretty interesting pieces. 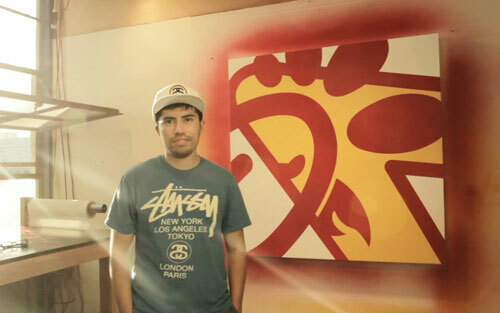 This video is of Jorge Oswaldo, an artist from LA that creates intricate layered vinyl pieces that deserve to be shared. He is inspires me to try everything under the sun with regards to design. Enjoy. These past few weeks in class we have been working with branding and creating identities for our individual products and services and part of the is developing a strong logo. Jorge Oswaldo is an artist that is not creating logos of his own but rather gathering inspiration from existing logos of large corporations and using them to create amazing works of art. I find these pieces intriguing and its almost like a game to see if you can guess all of the logos that are appearing in one painting. I think the one posted above is my favorite… see if you can find the three logos I found. I think as an artist he has taken consumer culture that is second nature to us in this day and age and created beautiful works of art. He also shows you how ingrained these brands are in our mind that we don’t even need to see the whole logo or any significant part of it yet we still know what it is. This product has the same great Idea that helped develop the HAB- IT. 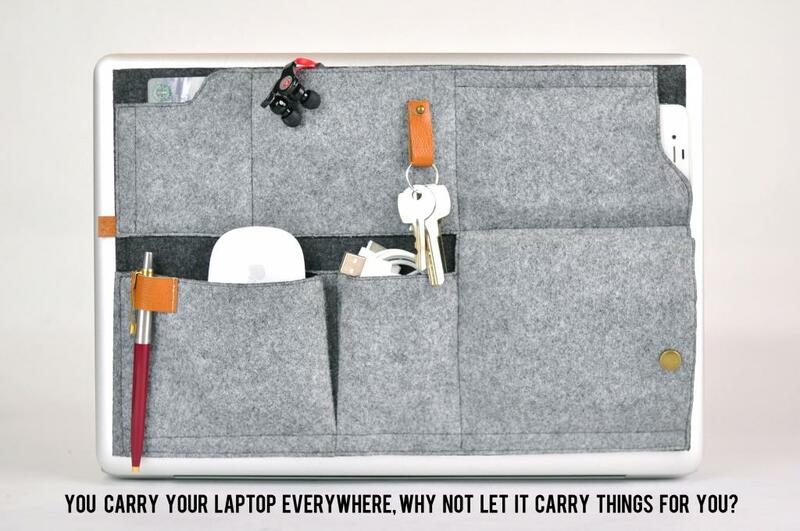 People desire to remain organized and space these days is becoming more and more precious. 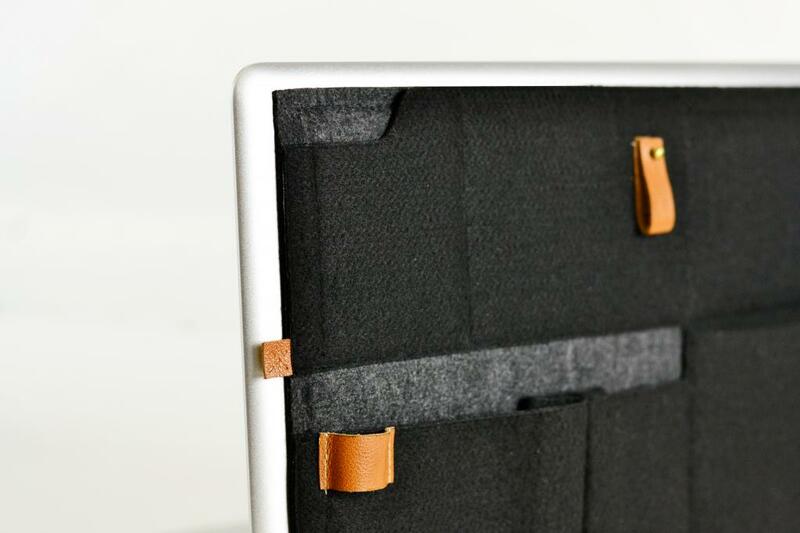 Stitx is a laptop and ipad based organizer that allows people to maintain a clean workspace no matter where they decide to set up shop. It keep all necessary items in useful yet out of the way location, not mention it the fabric mixed with leather looks quite fashionable. 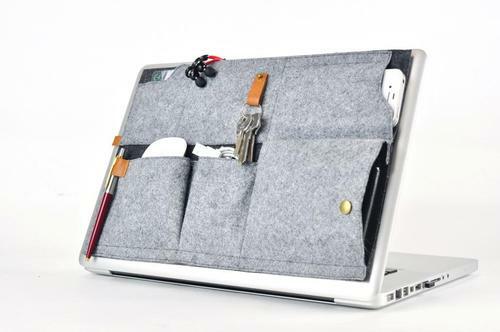 I most likely would utilize this product for computer based items and keys or wallet like the pictures display, but that doesn’t take away from the function these pockets server. 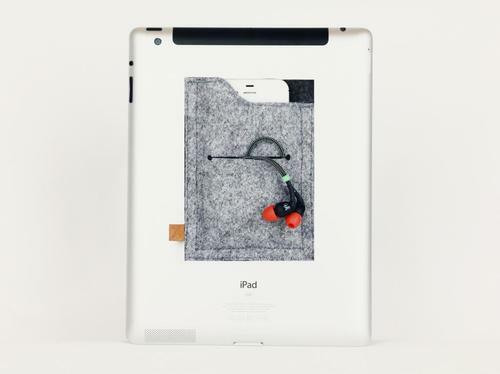 They come in many customizable colors and layout making them extremely versatile. I would recommend every young designer doing freelance out of a coffee shop to invest in this. They are trying to reach a goal of 7,500 dollars to jump start the production of this product so get to donating and reorganize your life. 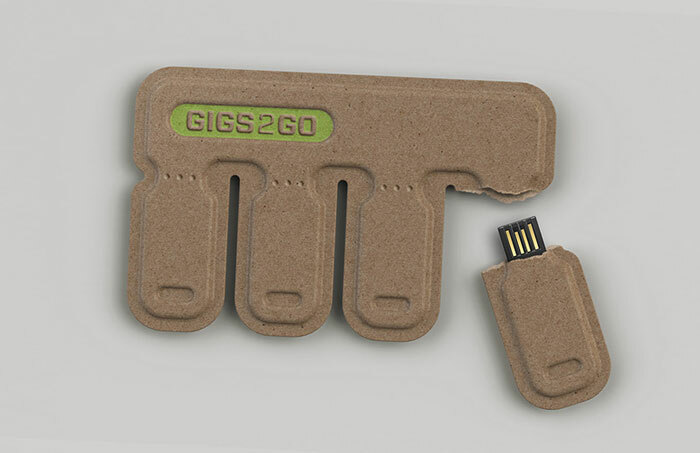 It might be because I am in constant need of a flash drive or because I simply have never seen a product like this, but GIGS 2 GO is a genius product. 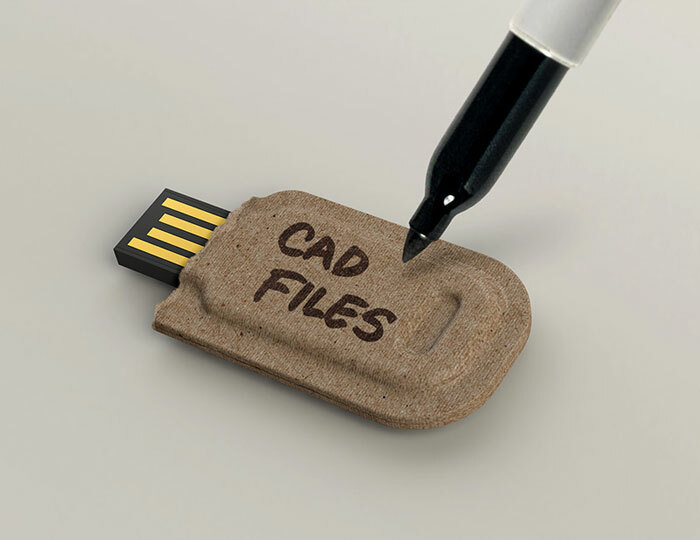 Even its name cleverly explains this disposable paper based USB drive. The GIGS 2 GO is the size of credit card to easily fit inside of your wallet and offers away to conveniently share or save files to 8 – 32G drive. Though I feel like this product would have to compete will the”cloud” and services like google drive I think it would be useful for large files that can go through email and would take up to much space on your online drive. There is definitely a market for this and its a plus that the form fits the function Kudos designers.